Suffering from large pores, fine lines and wrinkles, stretch marks, acne scars and a want for tighter smoother skin can be a thing of the past. Microneedling treatments are becoming ever popular in producing great results to remedy the concerns listed above with little to NO downtime. Here at Pure Gold Medical Center we are proud to offer the Vivace Fractional Micro Needle RF System — the newest generation in advanced microneedling. Typically microneedling is done with a stand alone micropen comprised of tiny “micro needles” at the tip. The device is passed over the skin to create thousands of small punctures to create many small, yet controlled, skin injuries at a minimal depth. These tiny wounds trick the body into power producing new collagen in the treated area(s) which can include the face, neck, chest and body. The Vivace Fractional Micro Needle RF System has the most advanced micropen technology which also combines RF energy (radiofrequency) to boost and enhance effectiveness and results. These two modalities in conjunction stimulate and tighten skin on the face, neck, chest and body providing superior results with virtually no downtime. This system also provides improved delivery absorption of serums and medical grade skin care products. That means the products you’re using at home will become more effective by penetrating deeper into the skin. A series of about 4 treatments, 3 weeks apart are proven to provide the best results. Quick, easy 20 minute treatments. Treats acne scars, stretch marks, wrinkles, large pores. 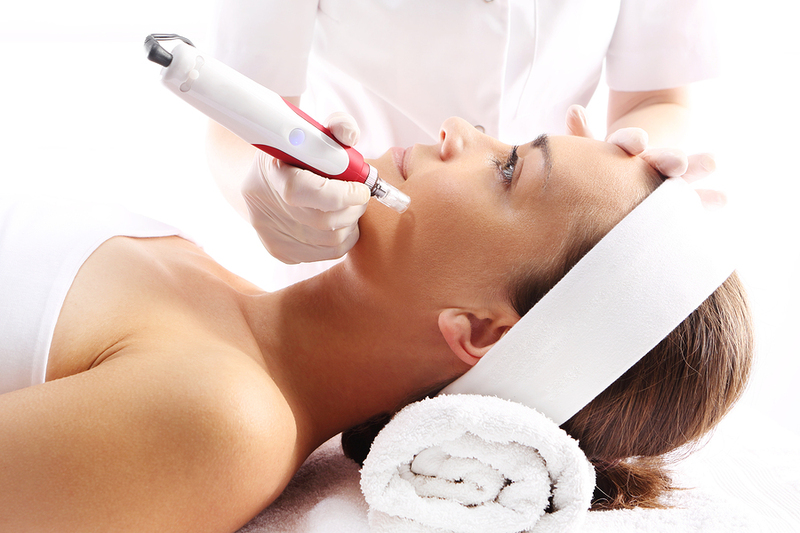 Advanced skin tightening for face, neck, chest and body. Cost effective in comparison to traditional laser resurfacing treatments.